Coalition - Smokefree.gov is intended to help you or someone you care about quit smoking.Different people need different resources as they try to quit smoking cigarettes. The information and professional assistance available on this website can help to support both your immediate and long-term needs as you become, and remain, a non-smoker. The website was created by the Tobacco Control Research Branch of the National Cancer Institute. 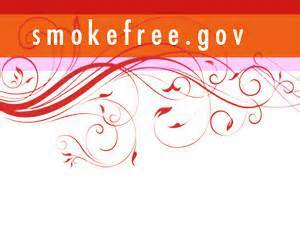 For information about this website's contents or technical features, email: NCISmokeFreeTeam@mail.nih.gov.